This is an amazing trip where you will be kayaking through the small tributaries of a river and reach out to some water areas that are rarely seen by others. You will be guided by an experience naturalist who will explain everything about the flora and fauna that you encounter on the way. 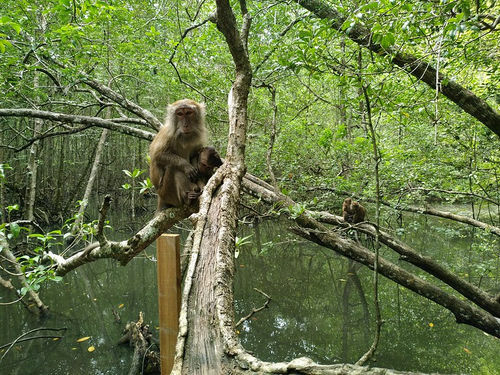 This trip takes you close to the dense mangrove swamps that lie between the land and the waters. 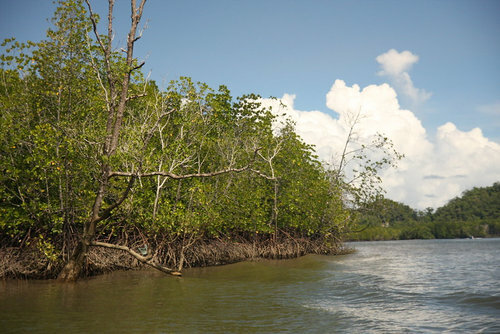 The guide will explain how important these mangroves are to human beings and the eco system. They provide shelters to the fishes and also act as nurseries. The mangroves are also home to so many small animals and creatures. This will not only be a thrilling adventure, but also a great educational journey. Depending on the operator you choose, there can be some variations in the design of the kayak tours. One of them (by Dev's Adveture Tours) is for 5 hours excluding transfer time. Other than exploring the mangroves and learning about flora & fauna, you will also visit the Bat Cave. You will also get an opportunity to visit Fossil Island to see million year old fossils and learn about them and also enjoy the view around the island. You will pass by huge limestone cliffs that rise from the shore. For lunch you will be taken to a floating fish farm & restaurant Hole In The Wall. There you can also see and participate in feeding fish like the stingrays. The package includes lunch and transfers. The tour also includes visit to the water area where you can see lots of eagles hovering around. But they don't feed the eagles. They would often end the tour by handing over a small mangrove seedling to you and asking you to plant it and contribute to the conservation of the mangroves in Langkawi. Two of the top operators who offer Kayak Adventure to the mangroves include Dev's Adventure Tours and JungleWalla. Check out Top Nature Tour Operators to get information about them, their full offerings and contacts for inquiry & booking the trips. 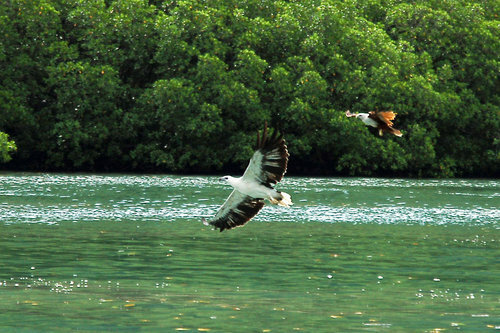 4) Langkawi Parks & Nature: Parks, Nature Reserves, Lakes, Mountains, Sanctuaries.